Type the address provided by your service provider into your browser to access the fleet management system login page. Password – the password provided by the service provider the respective user. Clicking on the eye icon will display the password in text form. There is a “Remember me” checkbox. Usually, the login session is saved for 24 hours. If the “Remember me” checkbox is checked, the user will not have to enter their credentials every day when FMS is launched. After inputting the login credentials, click the “Sign in” button to enter FMS. Users, who have their email verified can reset their password by clicking the “Forgot password?”. 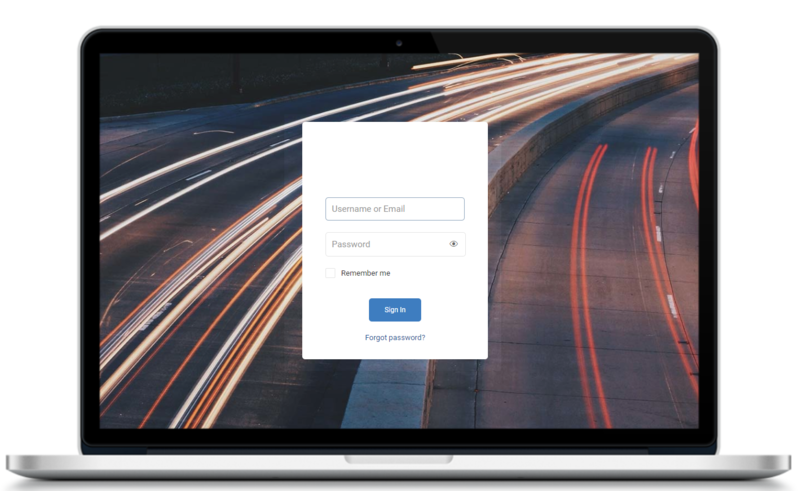 After entering the verified email address and clicking the “Reset my password” button, the user will receive an email with a link to reset the password. If the user has unpaid bills, the system will block access to the FMS. The user will be informed about this with a warning message during the login. Also, notifications about upcoming payments will be displayed after login into the system. Notifications appear when there are 14 days left until the payment deadline.